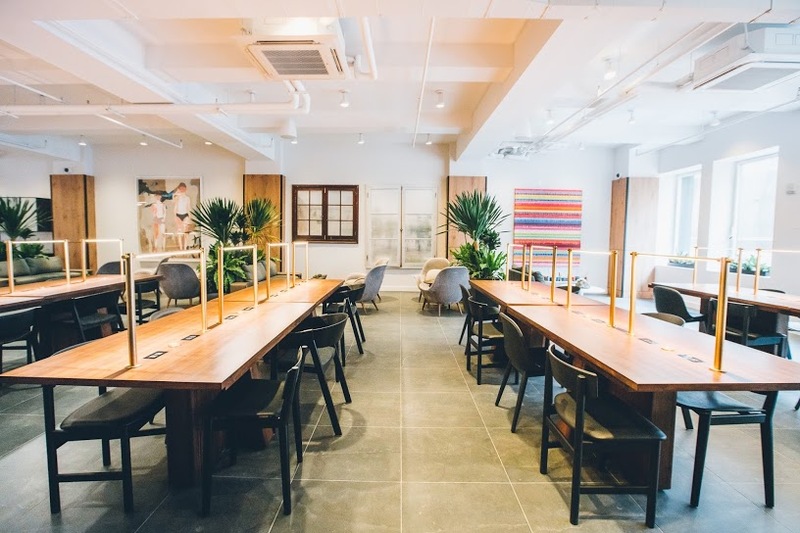 Coworking spaces like WeWork are an influential element in the NoMad live/work balance. But a new shared space in the neighborhood, called The Assemblage, is presenting a far-reaching vision of what modern communal spaces can be. Founded by Rodrigo Niño, The Assemblage is located at 114 E 25th Street and also has future locations coming to 331 Park Avenue and 17 John Street. As reported in a lengthy feature in The New York Times, Niño was inspired to open The Assemblage after he participated in a unique ceremony in Peru which proved transformative. Niño ventured to bring people together in a new way in the form of The Assemblage. Memberships of various levels offer work space and access to the nightly events and lectures that focus on subjects such as plant medicines and nature-based ideas that seek to heal the world. Unlike most coworking spaces, no alcohol is served at The Assemblage. Rather, it features an elixir bar with crafted juice drinks that are meant to infuse members with energy and good health. Also unique among shared spaces, The Assemblage allows members to invest in the company and become co-owners. Visit the website for The Assemblage to learn more, schedule a tour, or sign up for its reasonable night-only memberships for just $200 per month.